The event also featured a fashion show for mini MJs. CHENNAI : His iconic moonwalk, black hat, luminous gloves, sequin shirt, black and white formals — are just a few memories that flash back when you think of Michael Jackson. To pay a tribute to him, over 450 kids from Raack Academy of Dance performed to his songs at Ampa skywalk mall on Sunday. Among the highlights was the presence of Karim Evans (also known as CMACK), the west coast hip-hop choreographer from California who worked with many artists including Michael Jackson. The event also featured a fashion show for mini MJs. 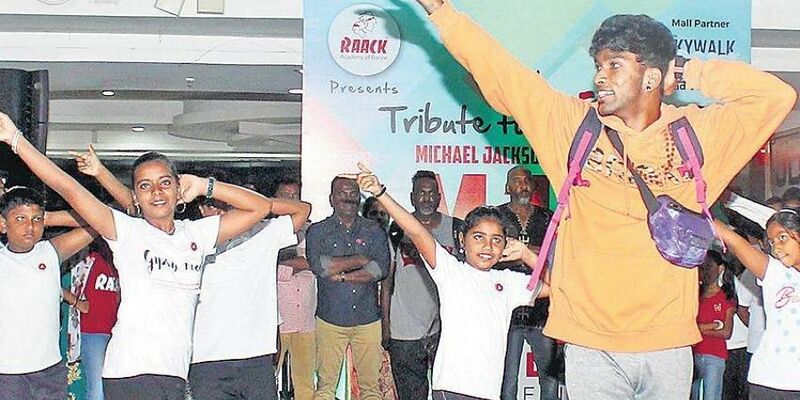 “The performance is to celebrate Michael Jackson’s birthday and Raack Academy of Dance’s 20th anniversary,” says Ramana Balaji, founder of Raack Academy of Dance. Karim Evans has been in the industry for 30 years. The choreographer has worked with Michael Jackson for the song, ‘Remember the Time’ in 1989. Both MJ and Karim loved the American singer James Brown and bonded over his songs. Evans would be travelling to Malaysia after this.